The sweeper can be used all year round to sweep barns, clear snow, gravel, rubbish or earth. 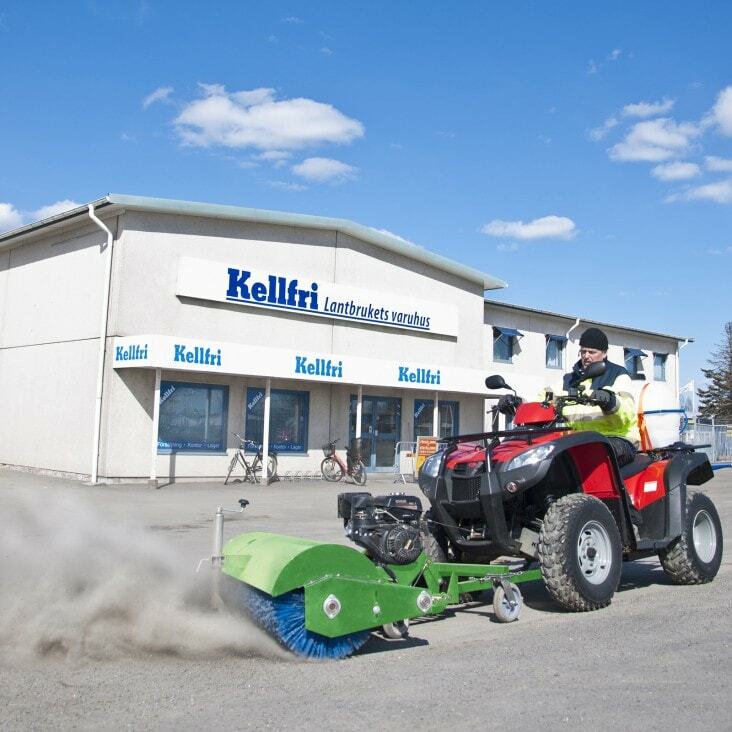 The sweeper has a rotating brush with a working width of 153 cm and is powered by a 7 hp Kohler motor. It is manually adjustable in five different angles, +25,+12.5,0,-12.5,-25 degrees. The winch (not included) on the machine is used to simply lift and lower the brush into position during use, the pressure against the ground is adapted for the respective surface. Adjustable bar from the sweeper goes under the machine and is mounted on the tow bar ball coupling, which means that the machine is entirely load free during driving and transport. The front edge of the brush rests on its own wheels. Equipped with a 50 mm tow bar ball hitch.